Sinister Wisdom 100: Anniversary celebrates the fortieth anniversary of Sinister Wisdom in 2016. When Meg Christian and Cris Williamson sang “Anniversary” at Carnegie Hall on November 26, 1982, they were celebrating the tenth anniversary of Olivia Records—and the launch of the womyn’s music movement. Then, Olivia and the womyn’s music movement had flowered beyond anyone’s wildest expectations. 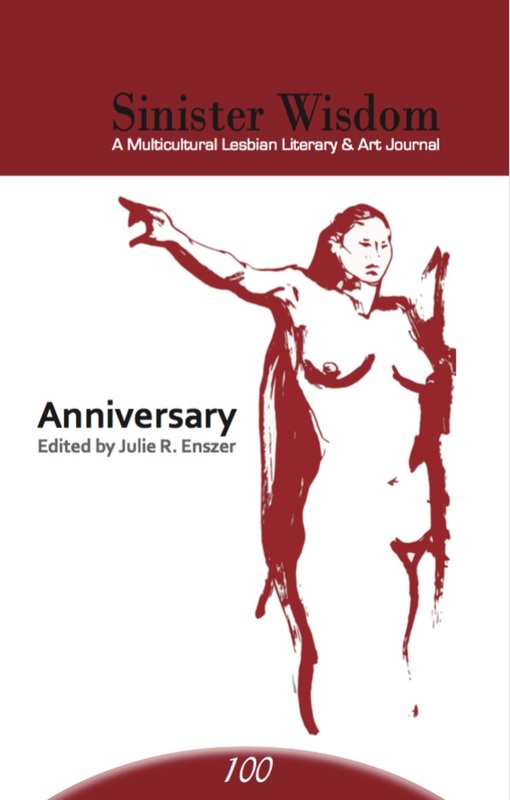 Williamson said about the concert, “History was made that night in that legendary hall filling up and spilling over with an audience—mostly women—from all over the world.” On that night in 1982, who would have imagined Sinister Wisdom, then seven years old, would still be publishing the best in lesbian literature, art, and culture over thirty years later? Sinister Wisdom is one element of a long history of lesbian culture—and a bold reach to the future with each issue published. I am pleased to be the steward of Sinister Wisdom during this auspicious year. Sinister Wisdom 100: Anniversary has many voices—old and new—singing in harmony. enjoy this concert of our anniversary and our one hundredth issue. Join the celebration of the Sinister Wisdom fortieth anniversary! Together we can imagine another forty years of sinister lesbian imagination. Sinister Wisdom 100 is sold out. On occasion, we receive donated copies of Sinister Wisdom back issues and sell them when they are available. You can inquire about availability of this issue by emailing julie@sinisterwisdom.org.